This is Jeff’s “15 Habits” nudge of the day – prepare, but ship! I struggled a bit with this one because I don’t feel ready to ship a business plan, or real proposal (@FoodNetwork, I’m looking at you! ), or to distribute “SheOrderedWhat?! ?” products, etc. If you count the comments I’ve left on others’ blogs, feedback I’ve sought on Twitter, Facebook, and via email, then I’ve shipped some ideas – but I wouldn’t count those! Instead, I’m going to try something fairly new, and in conjunction with a friend you’ve seen me write about before, Eric. Eric has recently taken a job with Kesseböhmer, the hardware maker, to take charge of their social media efforts in the US. He is now the “voice” behind @CleverStorageUS, and is focused on the home, design, food, and all things related. We have decided to take over Thursdays on Pinterest and Twitter. He, from the design and aesthetic inspiration side, and me from the food and culinary inspiration side. However, I am not as active on Pinterest as most of my friends (though I do post pictures from my blog to this board), and I am trying to make a concerted effort to add more value to, and get more value out of the site. So, when Eric presented me with an idea to create a Pinterest-themed hashtag, and to dedicate one day a week to promoting great pins, boards, and tweets, I decided that this was the idea that I would “ship” out there! I will try my best to include the Twitter handle of the creator as often as possible. I will also be checking Twitter for opportunities to retweet (RT) as much as possible. I encourage you to join in and use the hashtag as well – it’s a great way to share content on both Pinterest and Twitter! 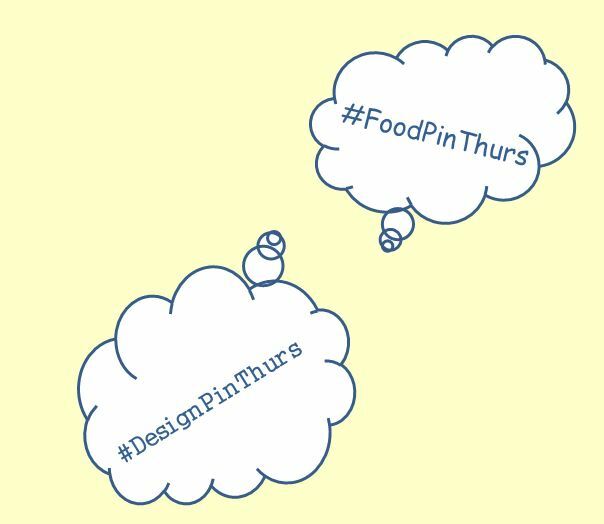 To participate, all you need to do is find a Pinterest Board or Pin – yours, or someone else’s – and tweet with the hashtag #FoodPinThurs. When you see tweets coming through this hashtag, RT them if you find them interesting or relevant to what you like. If you’re a Hootsuite or Tweetdeck user, just setup a stream with #FoodPinThurs setup as a search term and you won’t miss a thing! If you don’t have a Pinterest account, find a pin from a foodie (hopefully someone with a Twitter account listed on their Pinterest) and tweet it out. This is all about finding and sharing great content, promoting others with similar interests, broadening our own knowledge base, and building a community of like-minded folks. And, Eric (as @CleverStorageUS) will be introducing #DesignPinThurs, which follows the same concept, with a designer focus. He is launching this Thursday as well and will be pinning to Clever Storage US’s Pinterest board. This is a baby step to growing our respective communities, but it should be a fun and really interesting step. If you have additional thoughts about how we take over Thursdays, please feel free to share them with me! 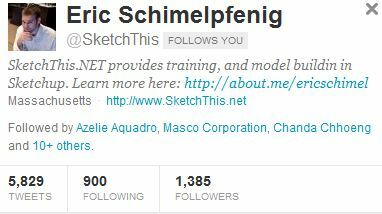 Guess this means I’ll have to take that leap to the “Twitter Side”! But for a very good reason :-). Knowing I’m about to show my ignorance here with the whole hash tag thing, BUT…couldn’t the tags also be used with Instagram if I see culinary or design brilliance?!? Dana, I would LOVE to get you on Twitter, but I will not force it! Just as you do not use Twitter, I don’t use Instagram. However, I have it on good authority that you can (and should) use the #FoodPinThurs hashtag on Instagram if you find culinary inspirations there. And, of course, on Pinterest! Thanks for supporting this new adventure! Thanks, Genesis. Not sure how this will play out, but in the spirit of #15Habits, I’m trying something new! Hope to see you tweeting and pinning too. And, thanks for your encouragement!